The leaks of Panama Papers draw our attention to the need of free and fair journalism. How important it is to get the right news without sensationalism because governments tend to corrupt with power and money. The involvement of who's who of various fields from world over in diverting money to tax heavens of Bahamas and British Virginia Islands is a startling news. It would have never revealed if governments have the responsibility to do so since most of the government heads are involved. I am stressing on free and fair journalism because India stood 136 in 180 countries in the list prepared by Journalism Without Borders even Bangladesh is ahead of us. 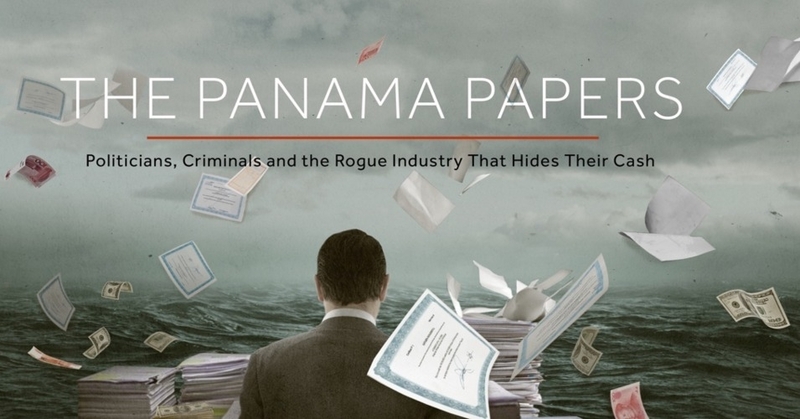 What are Panama Papers? Panama Papers are collection of around 11 million papers leaked from a Panamanian law firm and corporate service provider Mossack Fonseca which helped its clients in account management, property purchase and foreign investments.These paper revealed unlawful investments by the companies' clients. Suddeutsche Zeitung a German newspaper got these papers from his sources, since the scale of investigation and authentication of these papers required a multi-nation collaboration, they took help of International Consortium of Investigative Journalists which is a global network of journalists from around 65 countries. Then around 300 journalists from different countries of the world including journalists from The Indian Express, India carried out the investigations for about a year to reveal the trails of Black Money of white people. If journalists get hold of such information then why not investigating agencies of different countries which have more power and more sources. Black Money remained the hot topic in India during 2014 general elections. It was then promised by our current PM that each countryman would receive Rs 15 lakh in their bank accounts if black money comes back to the country. If you try to multiply 15 lakh with current Indian population of about 125 billion you receive a figure with zeroes unable to adjust in a calculator. If PM knew that much amount is in foreign banks then he must also knew where it was why then he is unable to reach the offenders even after 22 months in office. The SIT which is currently investigating Black Money is formed by The Supreme Court's intervention and not by the government. The Panama Paper reveals name of many multi-billionaires and give a chance to government to bring back black money. The Panama Papers have stirred the world and many countries including India have started investigating the people revealed in the leaks. It has observed that money used in funding terrorist activities, drug mafias, illegal arm traders have done by network of companies that dodged international embargoes which indicates that this black money is not only hurting world financially but also disturbing world peace and order. I hope this courageous act of journalists get rewarded by the governments by sending wrongdoers behind the bars. Till then God Bless The World. Modi promised a lot in bring back stashed money abroad but looks good on paper only. It's also true that not all money in Panama are black and some may be legal as well. There might be selective information considering that not one name in US has cropped up. Can you believe that?! Politics is about protecting the hoarders against the poor. That's why even our beloved PM with all his pomposity can do nothing with respect to black money. If you thought black money is going to come back, no, it's never coming back. Well, who keeps black money in foreign account. Not common folks like you and me. It's either politicians earning handsome amounts from ghotalas or business people involved in wrong kind of activities. Now, who would bring back their own black money or money of their brotherhood or money of people financing them? I don't think the higher officials aren't aware of what's going on around the country or around the world. Its just that they get their cut and keep quiet about it. That's how such things never come up unless some honest and brave media person decides to leak them. A well-written post on a subject which is relevant for every Indian.